I NTEGRANTES DE LA VIGESIMA PRIMERA CARAVANA DE LA AMISTAD PASTORES POR LA PAZ ESPERARON EL ANIVERSARIO CINCUENTA Y SIETE DEL ASALTO A LOS CUARTELES MONCADA Y CARLOS MANUEL DE CESPEDES EN EL COMITE DE DEFENSA DE LA REVOLUCION EN EL AFAMADO BALNEARIO DE VARADERO A 140 KILOMESTROS DE LA CAPITAL CUBANA. EN UN INTERCAMBIO CON ELISA VALENTTI, EXPRESO, QUE EN ESTOS MOMENTOS HACE FALTA QUE UN GRUPO DE JOVENES COMO LO HIZO FIDEL CASTRO , ORGANICEN UN 26 DE JULIO EN LOS ESTADOS UNIDOS, PUES ES LA UNICA FORMA DE TRANSFORMAR LA SOCIEDAD, YA QUE LA ADMINISTRACION BARACK OBAMA NO HARA LOS CAMBIOS QUE PROMETIO. REFIRIO VALENTTI QUE CADA VEZ ES MAYOR EL NUMERO DE PERSONAS QUE PERCIBEN QUE EL BLOQUEO ECONOMICO,COMERCIAL Y FINANCIERO CONTRA CUBA NO TIENE JUSTIFICACION, ES INMORAL, CRUEL Y HAY MUCHA GENTE EN EL MUNDO QUE DICE..BASTA ES HORA DE ACABAR CON ESO. AGREGO QUE ACTUALMENTE EXISTEN MAS PROBLEMAS PARA CRUZAR LA FRONTERA QUE EN OTROS ANOS Y QUIZAS REGRESAR SEA MAS DIFICIL, YA QUE POR LAS LEYES PODEMOS SER MULTADOS E INCLUSO ENCARCELADO, PERO NADA IMPEDIRA QUE CONTINUEMOS ORGANIZANDO LAS CARAVANAS DE LA AMISTAD DE AYUDA HUMANITARIA A CUBA HASTA QUE FINALICE EL BLOQUEO. 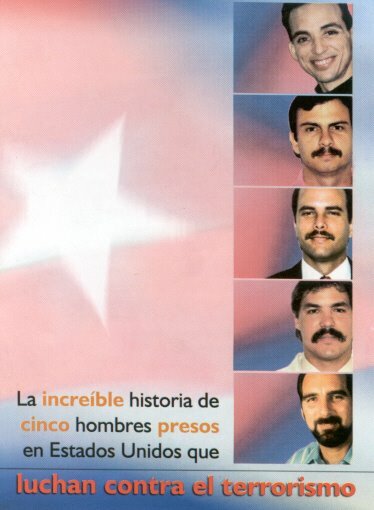 POR ULTIMO LA DISTINGUIDA VISITANTE PRECISO QUE FUE MARAVILLOSO ESPERAR EL 26 DE JULIO EN LOS COMITES DE DEFENSA DE LA REVOLUCION DONDE INTERCAMBIAMOS CON NINOS, JOVENES Y PUEBLO EN GENERAL DONDE COMPARTIMOS SOLIDIDARIDAD,IDEAS, ESTRATEGIAS, CONVENCIDOS QUE TODOS TENEMOS QUE TRABAJAR POR LA PAZ.